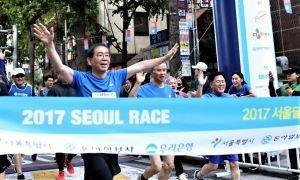 The mayor of Seoul is looking to come good on his election manifesto promises – with an ambitious plan to transform the South Korean capital into a hub of blockchain technology-powered progress. Per ZDnet Korea, Park says work will begin soon on the new complexes, which should be able to house 73 companies by the end of 2019. Both centers are set to be fully functional by 2021. The city will also create a USD 88 million blockchain startup support fund in conjunction with the private sector – with Seoul stumping up USD 12 million worth of public funds. Park has also recently paid a visit to Estonia and Spain. The mayor also pledged to issue a city-wide digital fiat prior to his reelection as mayor earlier this year.